Mental Health Month may be over, but it’s still worth shining a spotlight on teen depression, because it effects people year round. According to the U.S. National Library of Medicine, recent surveys demonstrate that as many as one in five teens suffers from clinical depression. At this rate, teen depression has become a critical issue that calls for immediate attention and action. There are many different forms of depression, which include major depression, dysthymia, psychosis, situational depression, and bipolar disorder, a condition that alternates between periods of high spirits and then drops to a low or melancholy state of mind. Depression can sometimes be tough to diagnose in teens because it is frequently normal for teens to act moody or upset. Adolescence is often a time when teens don’t know how to explain how they are feeling or what they are going through. It can be difficult to determine if they experiencing normal feelings of adolescence or actually displaying symptoms of depression. Mental Health America (MHA) states that it is not unusual for teens to experience “the blues” or feel “down in the dumps” occasionally. Adolescence is always an unsettling time, with the many physical, emotional, psychological and social changes that accompany this stage of life. When depressed teens realize that they need help with depression, this can be a major step in the direction of recovery. However, MHA notes that very few teens seek help on their own accord. Teens will need support and encouragement from family and friends to seek out help and follow treatment recommendations. Listed below are a number of resources to facilitate getting more information about teens and depression. 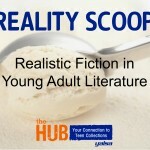 Here is a list of teen realistic fiction books that focus on teens suffering from depression or mental illness and how this affects their lives and the lives of others. 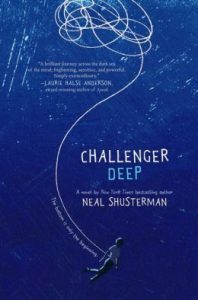 Challenger Deep by Neil Shusterman – 2016 Best Fiction for Young Adults, 2016 Teens’ Top Ten Best Fiction, 2015 National Book Winner – Challenger Deep is an incredible journey into the mind of a mentally ill young man. Caden Bosch is hospitalized and as the story unfolds we are privy to his delusions. 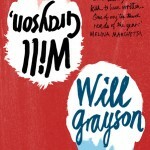 This book is about a teen living in the throws of schizophrenia as the unique and fascinating alter universe he creates in his mind unfolds. However, there is a certain element of depression that surrounds Caden when he is going up and down like a roller coaster dealing with medication and therapy, dropping to the depths of despair and trying to head toward the process of recovery and managing his mental illness. Challenger Deep is a tribute to teens who suffer from mental illness and is a must read for all. 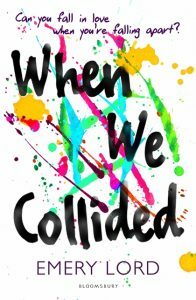 When We Collided by Emery Lord – 2016 YALSA Best Fiction for Young Adults Nominee – Jonah and Vivi are falling for each other deeper and deeper each day. As a couple they can take on the world together, separately they each have their own struggles to overcome. Vivi struggles with bipolar disorder, she suffers from manic ups and downs and doesn’t want to take medication. Jonah’s struggling with the loss of his father, suffering from grief and trying to be there for his mother through her depression. It is very difficult because he can’t miraculously heal her sadness. This is a beautiful love story of two teens going through the process of living with mental illness and how to keep going even when everything seems to be falling apart. 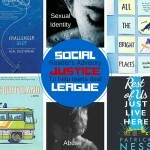 Lord’s style personifies real life because living with depression and bipolar disorder is real life for so many teens. 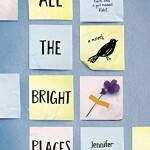 All The Bright Places by Jennifer Niven – 2016 YALSA Best Fiction for Young Adults – Theodore Finch and Violet Markey were destined to find each other. Each of them are dealing with darkness and despair and each are deeply depressed. Violet for the loss of her older sister in a freak driving accident and Finch due to his abusive father and bleak family life. When the two meet each other on the roof of the school bell tower, both of their lives are changed forever. 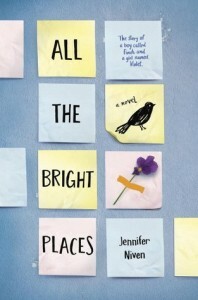 This is a true love story and a beautiful look into the lives of teens and the reality of mental illness. One of the amazing aspects of this book is the unfolding of Finch and Violet’s relationship and the school project they work on together. I don’t think that I will ever forget haunting notes and clues in this story and the impression that All the Bright Places has left in my mind forever. 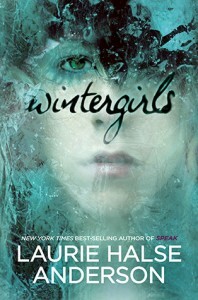 Wintergirls by Laurie Halse Anderson – 2010 Best Books for Young Adults – Wintergirls is a very emotional and powerful story about Lia a teenage girl suffering from anorexia. The story written in a realistic journal style, details how depression has affected Lia’s life after dealing with her eating disorder and the death of her best friend Cassie. Anderson’s amazingly haunting writing is compelling from the beginning to the end of this book. She mentions in her forward that she wrote Wintergirls to address how many teens suffer from depression, eating disorders, cutting, and feeling lost. This book hits all of those points and more. 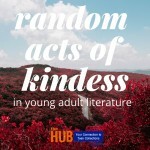 Kimberli Buckley is a librarian in Northern California and she loves working with tweens and teens. She also worked in a middle school library where she heard the students calling out numerous times "Hey there Mrs. Librarian lady!"